Photos are always considered to be the most precious possession of everyone in order to capture transient moments and cherish them later in future. In order to capture pictures, people would like to employ a series of smart phones that offer better picture quality with resolution as well as being portable. Though Android OS are highly used, the worst thing is commonly faced by huge number of Android phone users is data loss. Especially if you’ve ever delete photo and videos album by mistake or had your android phone accidentally cleanup everything from your gallery. Don’t panic any more. 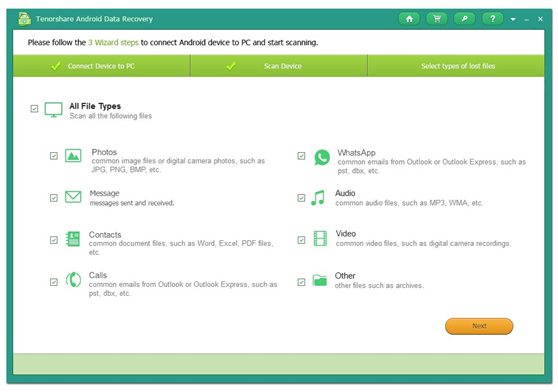 Here we’ll show you how easy it is to recover deleted photos and videos from android phones and tablets. Firstly you have to turn off Wi-Fi and data connections on your phone. Actually when data is deleted, whether photos, videos, music, documents or whatever, it is not actually erased from your device’s memory until it has been over-written. All that is initially deleted is the index that points to where the data starts in your memory card. But if that new data gets written over the top of where your lost data, they will be lost forever. Before your picture recovery, Tenorshare Android Data Recovery (Available for PC or Mac) is highly recommended. 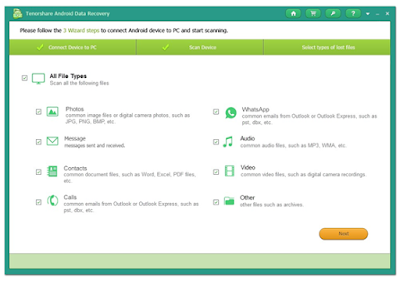 There are other programs available, but we’ve always had good results with this professional Android picture recovery program. 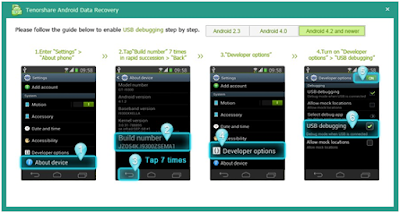 After download and install it on your computer, run it and connect your Android device to computer via USB cable. Step1. The window will ask you to enable USB debugging. Follow the guide on the software screen to make it. Step2. After you finish detecting device, click “Allow” when an app Superuser Request pops up on your screen. Click “Start” on the software screen. Step3. Choose the file types you want to scan when the “All File Type” appears. Then click on “Next”. 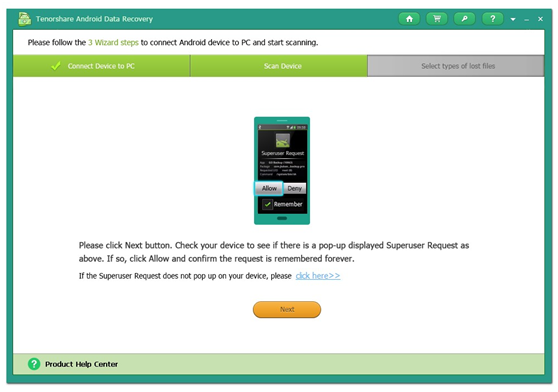 After that, you have to wait for several minutes for requesting Superuser authorization of your device. Step4. Here you can see all the files listed by category. 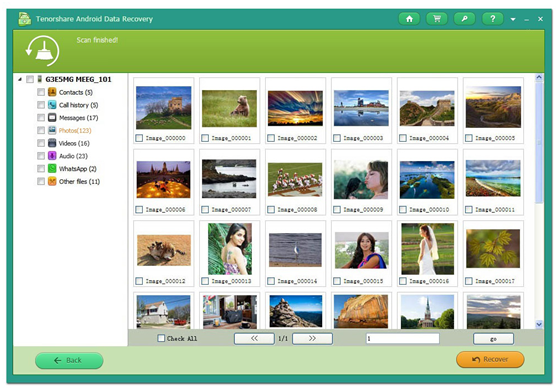 Then tick the files you need to recover and click “Recover” to get your files back. If you have any questions, please leave your comments on the comment section. Hopefully you’ve learned a valuable lesson and will backup your Android Phone regularly. Next Article Should You Develop Android App First For Your Startup? fantastic publish, very informative. I wonder why the opposite specialists of this sector don’t understand this. You must proceed your writing.